Capturing the glowing clarity of crystal light, Crystalline illuminates, reflects and reveals a woman's radiance, luminosity, gentle sensuality, and graceful femininity. As delicate as an exquiste flower, a radiant floral woody Eau de Toilette. Heart: Lotus Blossom, Cassia, Tea. Base: Guaiac Wood, Musk, Oakmoss. 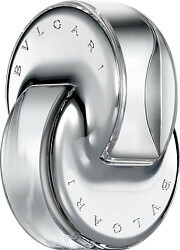 BVLGARI Omnia Crystalline Eau de Toilette Spray is rated 3.0 out of 5 by 1.